Maria Ortiz-Haynes is originally from Paterson, New Jersey and is a proud resident of Tampa’s Ybor City. She is a self-taught mosaic artist. After a trip to Cuba (her mother’s birthplace) in 2013, she was inspired by the brightly colored art work she observed there. Her work is flavored by her family’s roots from Havana to Key West to Ybor City. 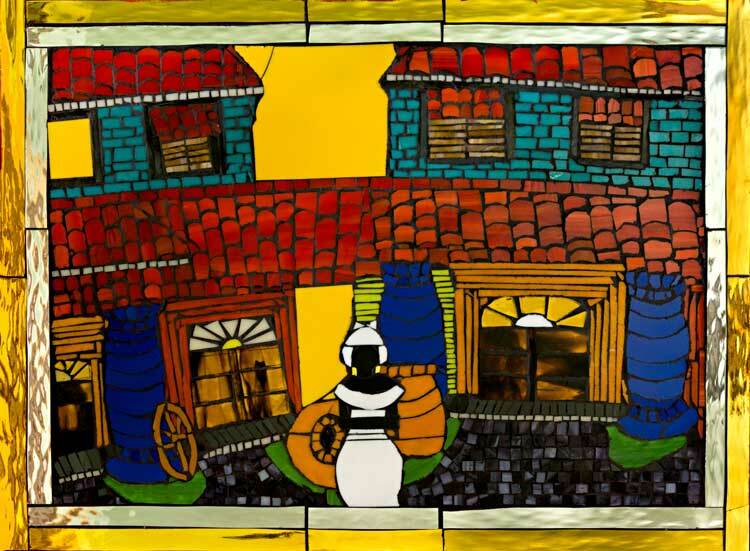 Her signature work is unlike traditional mosaics and brings a vibrancy and complexity to her unique style of using hand-cut pieces of stained glass of different sizes and bright, bold colors that blend to create an overall fluid, painted effect. 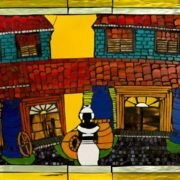 She starts by drawing her design on a wood surface, then using stained glass as her palette, she hand-cuts the glass and then she begins gluing the pieces on and then sealing and finishing the piece with grout. Her work blends her Hispanic and African-American background. She invites you into her mosaic scenes to examine more closely what makes up the bigger picture – to explore all the hand-cut pieces that make the whole. Her work has been exhibited at Ruth Eckerd Hall, The Glazer Children’s Museum, The Art Center Manatee, The Morean Art Center, Old Hyde Park Art Center and is included in several private collections.